Real Leather Genuine Vespa Tunnel Bags are made in Italy of, what else, real leather. 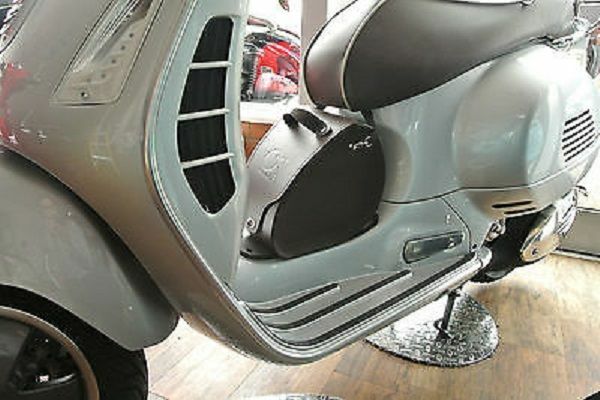 They are easily and securely attached to your Vespa using the luggage hook and fit perfectly on the floorboard, so you don't have to hold them in place with your feet and worry about them falling off when you come to a stop. They come with the Vespa logo embossed on the flank and are color-coordinated with the original seat.. When you get where you are going, the bag can be quickly removed, and carried with the carrying strap that comes with it. There is a Special 70th Anniversary edition that comes in brown leather and goes with anything. If you need more storage, this is one way to get it. https://scooterpartsco.com/ tunnel bag in search, and you will have a lot to choose from.